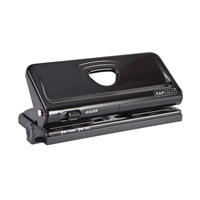 Six hole punch ideal for use with loose leaf diaries and organisers. Adjustable hole spacing for either standard or mini hole centres. Punching capacity up to 10 sheets.